Virtual Child - The terrifying truth about what technology is doing to children. "Virtual Child is a “must read” for all parents, teachers and health professionals!" Children now use an average 7.5 hours per day of entertainment technology, but what at what cost to their developing neurological systems? To what extent are these child health issues related to technology overuse, and what is going to happen if parents, health and education professionals continue to ignore the warning signs that children are simply using too much technology? 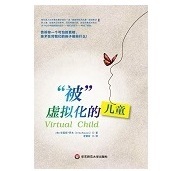 Virtual Child – The terrifying truth about what technology is doing to children offers readers research referenced information regarding the impact of technology on child physical, mental, social and academic performance. Virtual Child provides innovative tools and techniques to enhance child growth and success, while managing balanced use of technology. Creation of global Balanced Technology Management Foundation Teams will serve to ensure that every new millennium child achieves a healthy, productive and sustainable future. 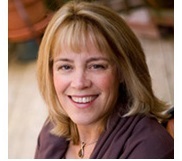 "Virtual Child offers a new and important perspective to anyone working with or raising children. Cris Rowan not only clearly and succinctly describes the problems many families, teachers and clinicians face, but she also offers workable real world solutions." A frequent guest on CBC public radio and featured on CBC TV's Doc Zone, Cris Rowan is a pediatric occupational therapist known world-wide as a child development expert in the area of technology's effects on children. As CEO of Zone’in Programs Inc. Cris Rowan has developed a ‘System of Solutions’ to address the issues of technology overuse by children. Zone’in Products, Workshops, Training and Consultation services are widely used and respected by parents, as well as health and education professionals in health units, child development centers, schools, clinic and hospital based settings. "Cris Rowan is an impassioned occupational therapist who helps parents to wean their children from addiction to technologies like TV, social networking, cell phone texting and videogames. She believes that many childhood diagnoses in reality reflect a combination of addiction to technology and a corresponding lack of meaningful relationship and personal engagement in the family. Cris’s observations will make you think more critically about childhood immersion in technology and how to overcome it." Virtual Child addresses the following child disorders: developmental delay, obesity, mental illness, depression, anxiety, sleep disorders, autism, adhd, behavior diagnosis, overmedication, aggression, poor body image, low self esteem, low motivation, learning difficulties, illiteracy, social isolation, technology and video game addictions.